Mezzanine Floor is a progressive metal band from Port Elizabeth in South Africa who in September this year put out an album titled Architecture of Aeons. In an interview for Prog Sphere, the band tells us about this release, their influences, and more. Define the mission of Mezzanine Floor. Our mission has always been to stay true to who we are and where we have all come from. To create music as well as a product which is unique and identifiable within an industry that is filled with so many amazing bands and musicians. Tell me about the creative process that informed your debut album Architecture of Aeons and the themes it captures. From the beginning we took on a slighting different approach, mapped out our story board, threw around some ideas, broke it up into chapters and then I went off an wrote the story and a collection of acoustic pieces loosely based on the Odyssey and similar mythological tales but also used that as a front for a deeper spiritual story about the quest for self discovery. What is the message you are trying to give with Architecture of Aeons? There has always been an interest from the start of the band to write a concept album and towards the end of the Feed the Machine album we were dabbling even more with the idea with finding an enchanted object that allows you to see the true form of the universe and people’s true forms as death and debris when you look through it. To be honest, we had a very simplistic way of documenting our music, with cellphone recordings. Any new piece or new song would be recorded on our phones for future reference, haha, nothing too technical. All songs and interludes are a piece in the puzzle. Each one complimenting the next with the final product being Architecure of Aeons. We basically converted our jam room into a recording studio and virtually lived there for a period of about 3 months for the recording. Arriving in the evenings from our day jobs, working till the early hours of the morning and getting up and doing it all over again the next day. It was definitely one of the toughest things we have ever tackled as a band due to lack of sleep but because it was a passion project we all believed strongly in it and pushed through. How long was Architecture of Aeons in the making? The writing took 6 months, then the rehearsals and collective crafting of the songs another year and final step magical step of recording another 3 months and mixing and mastering another month. As a band we definitely have a variety of bands which influence us. Not always with regards to our sound, but in the way in which we push ourselves creatively. The bands that influenced us the most during the writing and recording of Architecture of Aeons is definitely Norma Jean, Mastodon, Cult of Luna, Russian Circles, Black Crown Initiate, The Dillinger Escape Plan and Thrice. There is definitely room for technology within music. Even though we have more of an old school way of writing (on acoustic guitars) technology has made it easier for a band to find or create their own sound. The advances and enhancements in technology has created a lot more opportunities to experiment within music. It also allows for the recording process to be more manageable and achievable for all bands. As this is a concept album there are a lot of deeper personal meanings behind the tracks as well as we view our music as a type of art form which we are constantly driving to build a portfolio we as artists can be proud of and call our legacy. The album is a mythological tale combined with a personal tale of self discovery which ascends through the stages of self awareness. Initially we are going to be touring the album throughout South Africa and then to head overseas to release the album. Then to start the writing on the 3rd album (hopefully with a record deal in hand, haha) We want to create an international product which is recognizable. 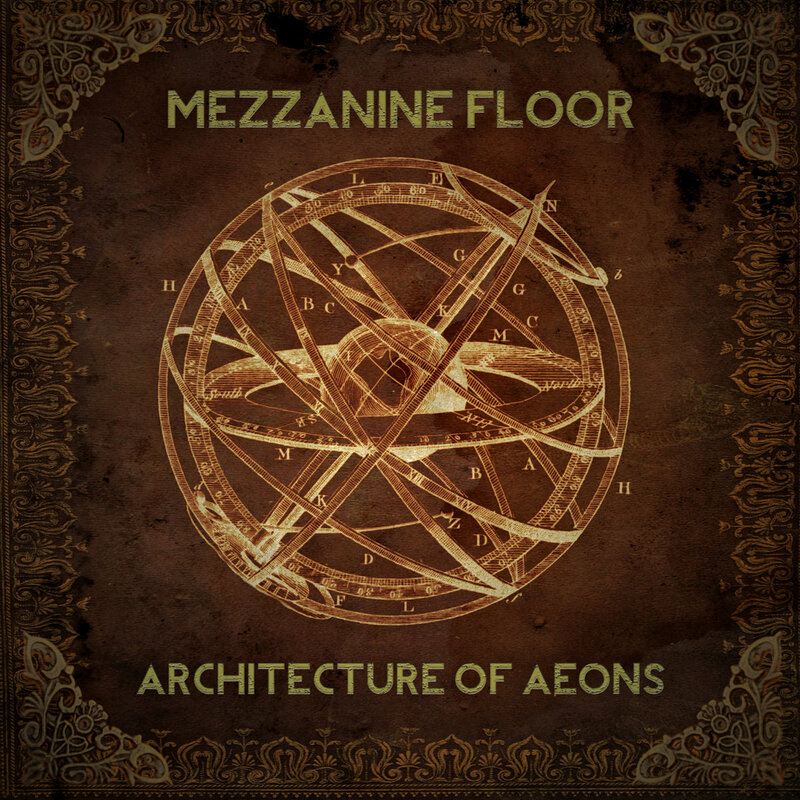 Mezzanine Floor’s Architecture of Aeons is available now from Bandcamp. Follow the band on Facebook.